Home » Preparedness » National Hurricane Preparedness Week is Over – Are You Ready? Hurricane preparedness week may be over but it is far from too late to make sure your family and loved ones are ready. Many of the items that you need are things that you really should have for any type of disaster while others are more specific to those that are in areas that have the highest risk of getting hit. Remember that even a tropical storm can cause a lot of damage. 1.2 Buy plywood ahead of time if you want it for reinforcement and protection. 1.6 Are you responsible for someone that lives outside your home? 1.10 Go over the plan with your whole family and anyone you are responsible for. 1.10.1 Print out and laminate a master plan for everyone and put it in their go bag. 1.11.3 Don’t return until it is truly safe. 1.11.4 Have you been through a hurricane? Do you have any wisdom to add to this list? Wind currents have a lot to do with determining if a hurricane is going to make landfall. One thing to look for is what is known as the Bermuda High. This high-pressure ridge expands and contracts across the Atlantic Ocean in the summer. This is surrounded by a clockwise circulation pattern. How far North or South this system is at the time can determine if a hurricane turns inland and causes the Eastern seaboard a lot of trouble. A lot of hurricanes turn back out to sea and don’t cause major damage. However, if you get one that keeps pushing in, you need to be prepared. Please take a moment to check out “Why Do Hurricanes Curve Out To Sea?” on Livescience.com if you want even more details about hurricane patterns. 1-2 weeks of food for each member of your family is the bare minimum. There are plenty of food buckets that you can store beneath your kitchen sink that can go a long way in an emergency. A lot of people try to plan for 72 hours but that is a thin window. It is better to have too much food than have to ration. Remember that special diets can be hard to shop for and plan during an emergency so take care to plan for it now. If you can’t eat a lot of salt, wheat, dairy, etc. then plan on providing all your own meals. I would not want to rely on a shelter or disaster relief package to provide for a special diet. Over here we have an article exclusively dedicated to help you prepare the best hurricane-specific food plan possible for you and your family. Valley Food Storage: We love their products, and it’s pretty hard to pass up our special 10% off promotion (use code “BDS10” at checkout). 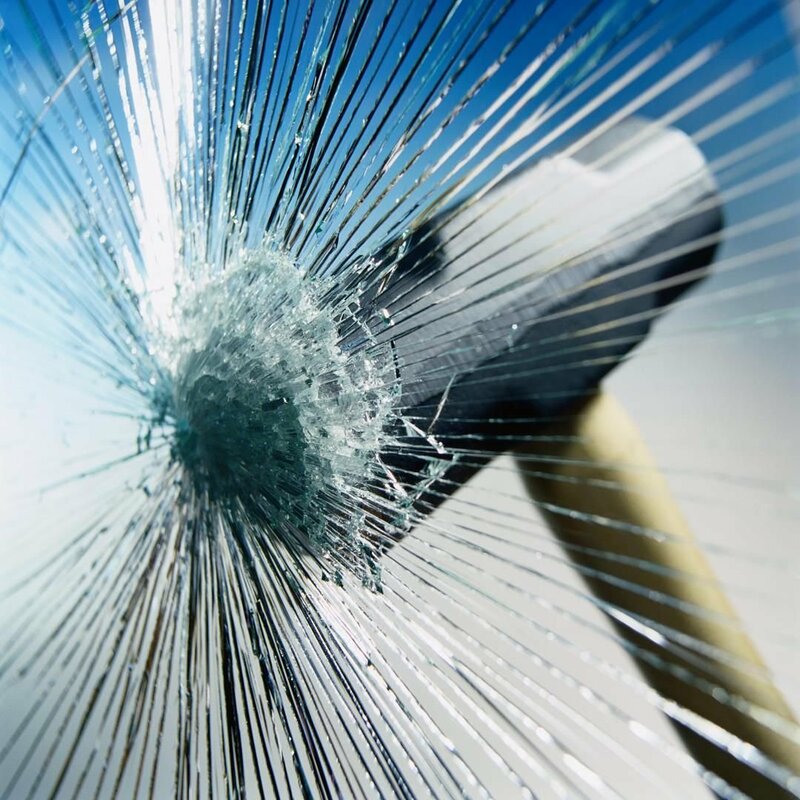 Reinforce your windows with security film for minor or moderate impact protection and broken glass protection so you don’t have shards possibly injuring someone. I did a post about window films recently that have ones of various thicknesses to meet different needs. Buy plywood ahead of time if you want it for reinforcement and protection. Boarding up windows can save you a lot of damage. Getting glass replaced is not cheap and it can take time to get a contractor during an emergency. If a window blows in then your home could be extremely damaged on the inside by rain and wind. Also, broken windows are a welcome wagon for looters that may get back in your area before you do after an evacuation. When there is imminent danger of a hurricane it can be hard to find plywood within a reasonable distance and wait times in check out lines can be long. This means you are wasting a lot of valuable time by not taking this simple step now. I know that canned gas is expensive when you buy it at Tractor Supply and places like that but it is highly stable. A single gallon or two could make a big difference when it comes to being able to get out of a major situation. You can also keep a 5 gallon can on hand and pour fuel stabilizer in it. Use it up every year and then store a fresh batch so you don’t let it get too old. 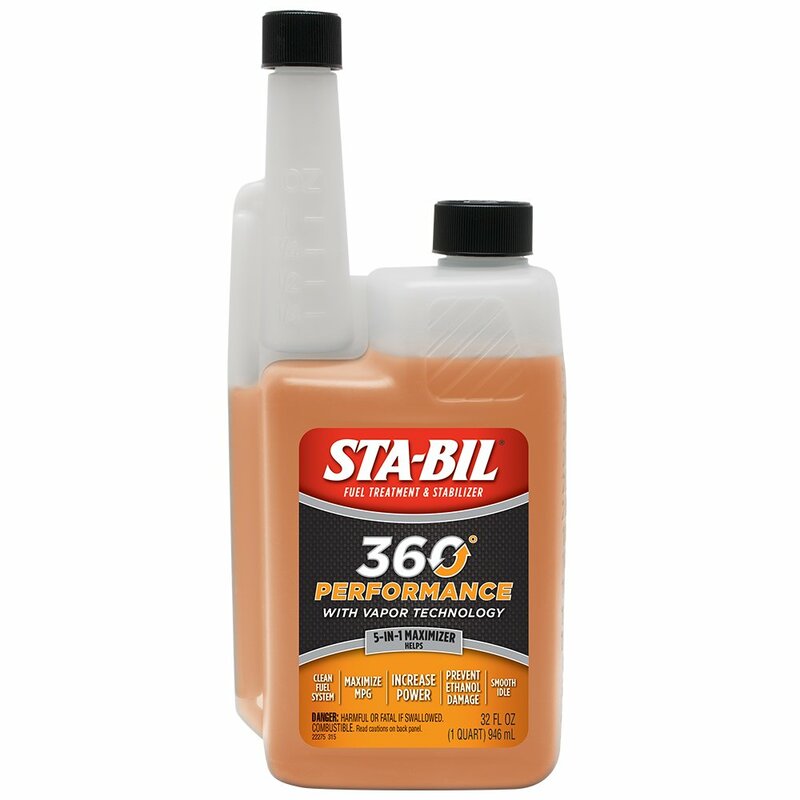 Fuel stabilizer helps but it doesn’t make gas keep indefinitely. 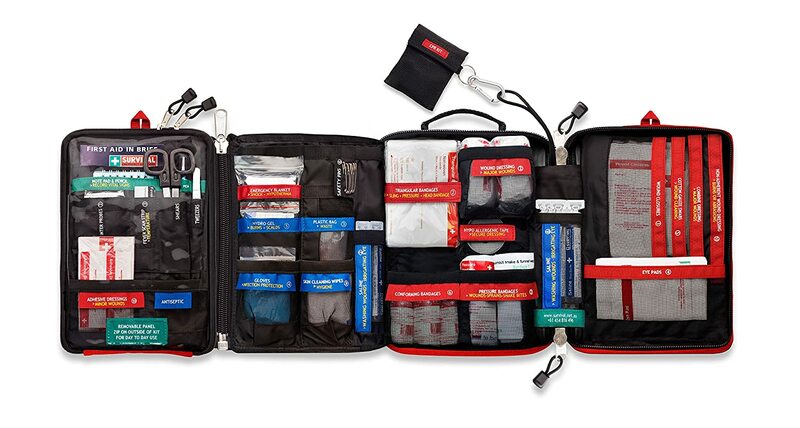 It can be easy to let a first aid kit get depleted or just have the bare minimum on hand. Take a few minutes and go through your medical supplies and prescription medications and make a note of anything that is lacking. This is also a great time to throw out any majorly outdated medications. Some things you might not use that often but that doesn’t mean you should not keep them on hand. Try to make sure you have an extra month of prescription medications on hand. A hurricane can mean outages and supply disruptions. Even if you manage to stay in place at your home, riding out a hurricane may mean having some downtime or not being able to go to the store to resupply on soda, coffee, beer, wine, tobacco, or whatever other vices you have. As far as entertainment goes there are a lot of options to choose from.Reading, Writing, movies,etc. Of course part of your options depends on if you have power, cable, internet, or sufficient batteries. E-readers are marvelous things because the battery life is good. Having some small electronics that have media on them and can be used with USB charging are great to have. You can get hand-cranked chargers even for long-term situations or to keep devices topped off. Having some battery banks is not a bad idea but remember that you have to keep them topped off every few months or you will have a drained bank when you really need it. Are you the type of person that lets everything in your closet get dirty before washing? Well, you may want to have a few sets of clothing set aside that are always clean in case of an emergency. Laundry services may not be available for an extended period of time. Sure you can wear dirty clothes but who wants to do that to start with? If you are interested in being more prepared for doing laundry off-grid or during an emergency then take a look at the BDS post “Best Off Grid Laundry Options”. If you have a young child then you need to make sure you have extra supplies to get them through a week or two. Baby formula, diapers, and wipes are a few things that come to mind. Even if you generally use cloth diapers and wipes I highly recommend having enough disposables on hand to get through a week. If you live in a remote area then go for 2 weeks. Disasters are hard enough to get through. Not having the things you need to take care of an infant properly and with less fuss, can make the situation a lot worse for everyone. Get a big plastic tote and start throwing in an extra pack of wipes or diapers here and there. You should also have a baby bug out bag put together with the supplies needed to get through at least 72 hours in case you have to evacuate ASAP. Not letting your tank get to less than 1/2 a tank when there is a great risk of a hurricane is advisable. While some get upset about the gas hoarding that can happen during an emergency, making a habit of keeping your vehicle at 1/2 during hurricane watches or when any natural disaster is likely is just smart. You want to be able to evacuate without worrying about running out of gas or wasting time looking for it or waiting in a long line. Minutes can make a big difference in conditions and your chances of not running into complications. Rising waters can cause a lot of trouble. In the event of flooding, you need to be very careful. It does not take much water in the wrong place to cause a lot of trouble. It takes very little water to get you in trouble. Water levels can rise fast and even a small current can be quite dangerous. It is also difficult to determine the actual depth of the water or what is below. A lot of people have found themselves in bad situations because they thought water was a few inches and it was a few feet deep instead. If trapped in a multiple story building exercise caution when seeking higher ground in the building. Going to a higher level is understandable but during really high water you need to make sure to not get yourself trapped in an attic or somewhere that there are no windows or any way to get out. Are you responsible for someone that lives outside your home? For staying in place it can be tricky if you have someone that has limited mobility or strength. Making sure that there are easy to reach flashlights and other lighting is very important. Falls and other dangers that can happen due to poor visibility are far too common. Medical needs are one of the major causes of concern but so is having the right type of food that can be prepared with little or no prep. Water can be a big issue with the elderly too. A case of easy to reach water where they frequent is not a bad idea. Dogs and cats need carriers that are approved for airlines and big enough for them to be comfortable. You also need to have a few days of food and a few things like a collapsible dish for feeding and watering. A leash and collar or harness is also par for the course. A few cats or dogs are one thing but if you have livestock then you need to be prepared to leave them with at least some necessities. An auto feeder and waterer could work for some animals. Larger livestock like sheep, cattle, goats, etc. that are out on pasture can often get enough food on their own. A solid shelter is nice but in some cases may be more of a danger than a help. BDS did a post about pet survival kits that has some products to consider for a variety of emergency situations. If you have more than a car or two you may want to think about where you are parking them. Avoid areas where trees tower overhead and may fall if there is a real hurricane or high winds. Park down the street if you can or stash other vehicles at a friend’s home. Whatever it takes, try to get your stuff as situated and safe as possible. We are all used to having the internet or our cell phones within arms reach. During an emergency, you don’t want to be scrambling to find a number or find that your cell phone is not working and you don’t have an important number anywhere else. Close relatives, emergency services, insurance companies, and any other number you think is important should be written or typed and printed out. Use clear laminating film to make your list sturdy and water resistant. Go over the plan with your whole family and anyone you are responsible for. Time is important when it comes to getting out of a tough situation. Go over your evacuation plan and make sure everyone has their go bag in order. Going over the plan and determining where each member of your family is in terms of preparedness means you can catch problems or lack of understanding before the situation is dire and stress levels are high. Print out and laminate a master plan for everyone and put it in their go bag. Hey, it can be hard to think straight when you are scared for yourself or your family. Having a copy of your plan and contact numbers that is waterproof and in your bag can go a long way towards keeping everyone on the right track and avoiding any confusing or potentially dangerous situations. If you are in a hurricane area and own your home then I advise looking into installing shutters. You could even have the boards cut and put them together yourself. Real shutters are not something you see very often but they are amazingly versatile and provide solid protection against objects. It is a lot easier to shut a shutter on your windows then to board them up with plywood everytime you fear a hurricane is bearing down on you and your family. When I was younger I dreamed about a cabin in the woods. Well, I have the little house in the woods but I know the value of keeping the woods back when it comes to storms. In fact, my husband and I both wish we had cut a few more. There are plenty of trees that are shorter that can provide shade and maybe even some fruit or nuts to eat. Having large trees near your home is a hazard. High winds and floods can make objects dangerous projectiles. That old outbuilding you have been meaning to tear down might have a metal roof for example. In high winds, sheet metal can be deadly! During floods, debris can cause various issues but at the very least it spreads a lot of garbage around that has to be addressed later on. If you have a property with larger buildings that are old and decrepit sometimes you can get the local fire department to burn them down for you as part of a training exercise. Don’t return until it is truly safe. A hurricane may seem like it is passed and it is safe to go back but the truth can be deadly. No one wants to stay away from their home any longer than necessary but you really need to give it some time. Also, keep in mind that when you can comfortably or safely return may vary based on what elevation you are at and how much damage was done to the infrastructures you rely on. Power may be on a block away but it may be a week before it is on at your house. Storms are a force and that force has an odd way of sometimes leaving one house alone and ravaging the others around it. Valley Food Storage: Great products and a special 10% off promotion from us. (use code “BDS”) at checkout. Mountain House: One of the best in the food storage business. Use our special promo code for 20% off (MHAFFILIATE20) at checkout. Have you been through a hurricane? Do you have any wisdom to add to this list?